It’s a sad fact that over 12% of the world’s population, are unemployed and 10% out of the unemployed percentage, are doing nothing. That is to say they are not unemployed, they are jobless. No means of getting anything cash. Considering the current trend in the world today which is economic recession, many experts have actually held conferences upon conferences on how to tackle economic recession issues mostly in the business sectors, ; a neglected issue has been the tackling of the unemployment stigma in the society. These unemployed persons keep making search engines their best friends. For what?, you may ask. Well the never ending search on how to make money online, “is a never ending search engine trend” of these set of people. They try to take advantage of today’s technology to see if they can make life easier for themselves. Thanks to the internet, there are offline and online means of getting to paid. Getting paid here simply refers to the provision of services in exchange for the monetary value of the rendered service. 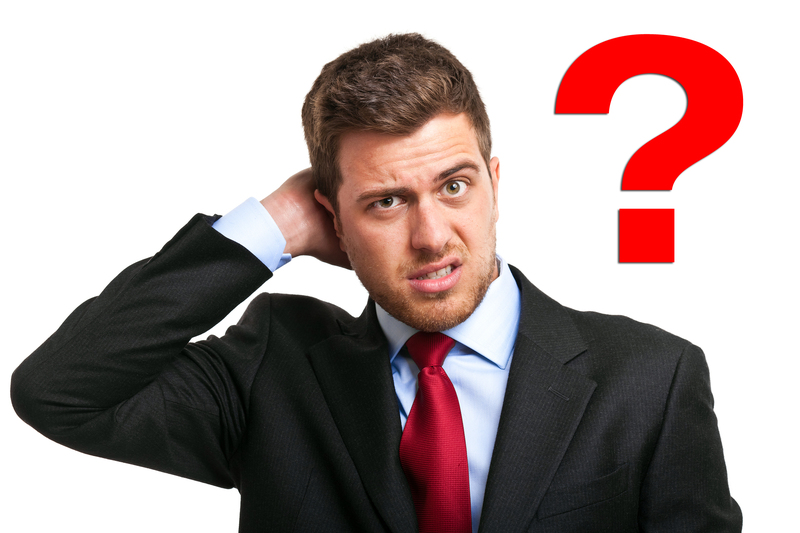 Thanks to the same internet, a lot of people still get confused when it comes to selecting an online business category or if we are to go by internet terms “niche”. This is because they seem to only get to see the “juicy parts” of those niches without bothering to know if there exists the”thorny aspects”. For the ones that later discover the thorny sides, their confusion levels further increase. And this is one thing that makes them try this and that until, they reach an end of the road section and begin to wail. The first step to follow in trying to strive in business, is to actually check out what you are good at, then enhance it and bam! !, you are on your first step. It may not be easy, but it is very much advisable to do so. Nonetheless, I have handpicked a list of lucrative businesses or “niches” you can start with today and you will get results as soon as possible. I didn’t put a number tag to the post title like 50 Lucrative…., this is because there is room for further research, brainstorming and update. I must warn that, starting an online business is not as easy as it seems to be, when you tend to hear about the earnings of someone who may be earning a five figure monthly or yearly income as the case maybe. It is difficult in its early stages and needs a lot of hard work, in fact being an employee is much easier than running an online business because, you must try your possible best to always keep up with trends, especially in the category you belong to. As far as you decide to involve yourself or your business with the internet, you must be on your toes at all times. Please note I didn’t give a specific time frame. I am not going to promise you something that is pure fiction but, something worthwhile based on research, extra reading and application. The below handpicked business categories are in no order of importance, as well, you should choose on or two you are good at. They are more or less what I call professional online businesses. 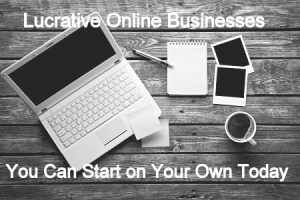 Lucrative Online Businesses You Can Start on Your Own Today. Everyday, new websites pop up. Sometimes these websites are as a result of new companies, already existing companies that want to reach out to the world, schools, celebrities etc. If you are a good web designer, you can start this as a side business if you are working or as a full time business, if you tend to make a living out of it. There are online platforms to learn web design like Udemy and Treehouse that can teach you a lot on web design if you are a novice or you want to up your skills. There are also web design softwares that make web design as easy as snapping your fingers: softwares like WebPage Maker, Web Easy, Xara Web design Software and a host of others. Everything on the internet now requires writing. A lot of people earn a full time income from writing articles alone. If you are a pro in writing, then you can visit freelance writing sites and forums or sites that pay writers to write in order to get paid after writing. Twitter and LinkedIn are equally two handy tools that come into the minds of article writers who wish to make an honest living from article writing. With almost everyone in the world today buying and selling properties, a lot of opportunities are open to experts who know how to handle financial, commercial and legal real estate aspects. A website can actually be run by a professional real estate consultant, who may even end up being a coach to fresh real estate consultants. What are you passionate about? What drives your subconscious? If you can pinpoint this, then you need to start a blog. The persistent increase in the knowledge base level of life and its activities is blogging. (Uhm, that’s my definition though). You can create a blog solely for the aim of covering that topic which is your passion. It could be a hobby, but can eventually start paying you handsomely when you hit it right. With the advent of new businesses that require stunning graphics to exist, graphics design is one of the best online businesses to start. But hey! you may scale on the 40 -45% rating when it comes to graphics design, you can visit YouTube to watch “how to design —– with adobe photoshop or adobe illustrator”. Its left for you to pick one. There are other graphics design softwares out there; like Corel Draw, Paint.net etc. Just like blogging, what are you passionate and skilled about that, you can place yourself as a coach for others to learn from?. With the combination of expertise skill and passion, you can offer online one-on-one coaching. All you need to do is to have a properly structured plan for putting your skills and experience to work by developing an online coaching business. Many of us usually spend 60% of our daily time on Facebook, Twitter, Instagram, Google+ and LinkedIn, to mention but a few, its a good thing though. I mean having the ability to possess or harness a multitude of followers on social media is not an easy thing especially, if you are advanced in age say in age bracket of 50s and above, you will need to actually “go to a social media skill school”. But that’s not the case for young fellows who within the twinkle of an eye, garner social media presence without breaking a sweat. Why not get paid for your social media skills? There are startup companies that need to make their presence known globally and the social media is the major and basic platform for such a launch. Flexjobs and CareerBuilder are places were you can find such opportunities. With the advent of technology and the e-world, writing and publishing of your own books, are as easy as writing and uploading. Packaging your skills and knowledge into a downloadable eBook that delivers valuable content to those seeking to learn a skill, advance in their careers, or start their own businesses, makes for a strong value proposition if you target the right audience. These days, there seems to be an app for everything. Be it on the iOS platform, Android OS, Windows OS or Linux OS, there’s a catch here to always earn from those platforms, if you are yet to get international with your coding skills, now is the best time. Just make sure you get your hands dirty enough before getting clients. Everyone these days wants to be able to solve most of their issues themselves without paying a dime to anyone, for instance I learnt my web design skills from YouTube without having to pay someone $200 for something he or she may not be able to deliver properly when it comes to my taste. If you a pro at something, why not start an e-course site like Udemy or create a DIY (Do-It-Yourself) site with a monetization strategy of making available quality-not-so-complete content for the free or basic plan, then create the complete version as a premium affordable content?. These days working class folks find it difficult to walk into physical stores to purchase their needs. As well most products these physical stores sell, are actually purchased online and shipped to them. Some people (myself included) research about products they intend to buy in terms of reviews, price and durability. All these are made possible via e commerce. Its either you start up your own micro e-commerce site; which entails sales of a particular category of products like apparels, body accessories, electronics or anything that comes to mind. (I chose micro e-commerce sites due to the ambiguous and stressful nature of starting a mega e-commerce site were you sell everything sell-able) or you can actually look for existing e-commerce sites that allow third party sellers. In this case all you need to do is to source for your CHEAP and QUALITY goods from CREDIBLE sources. The bold words are very important in e-commerce business, miss them and miss out. I know you’d say in your mind, ‘urggh!! here we go again, can’t we go day on the internet without hearing affiliate marketing’?. Well be a hater of the fact or not, there are people who have their major income stream or financial breakthrough from affiliate marketing. This simply means the selling of someone else’s product for an agreed commission rate to be paid to you when, people buy those products from the link you provide. If you play your cards well, you will be on your way to liberation from unemployment issues. Online businesses never got better, with the way global economic crisis keep springing up, self employment is the key surviving instinct that will keep many going. Bookmark this page because, I assure you the list is endless. Please use the comment box below!!! Tags: lucrative online business to startmost profitable online businesswork from home online business. Next story Why Small Businesses Should Embrace Cryptocurrencies. God bless the works of your hands and your brains..
Only a few bloggers would discuss this topic the way you did…thanks so much men..